Many will approach the altar of the Lord with great reverence even love. But approach it nonetheless empty handed. No offering of any acts of love done in His name the past week. Of reconciling with a sister or brother. No communion sacrifice of not grumbling, complaining or scolding. Of bringing someone closer to God our Father. Of helping or caring for the sick and the poor. Of sharing the gifts and talents you received outside of your work place for the community and building of God’s Kingdom. Where then is Holy Communion? Where then is the Eucharist of thanksgiving? Let us remember that at the end of every Eucharistic Celebration we are sent to share the gospel with others, to love and offer peace in His mighty name,our Lord and saviour Jesus Christ. Then our labour of love and sacrifice will be pleasing to the Lord our God. A man multiplies offerings by keeping the Law; he offers communion sacrifices by following the commandments. By showing gratitude he makes an offering of fine flour, by giving alms he offers a sacrifice of praise. withdraw from injustice and you make atonement. Do not appear empty-handed in the Lord’s presence; for all these things are due under the commandment. A virtuous man’s offering graces the altar, and its savour rises before the Most High. A virtuous man’s sacrifice is acceptable, its memorial will not be forgotten. Give to the Most High as he has given to you, generously as your means can afford; for the Lord is a good rewarder, he will reward you seven times over. Offer him no bribe, he will not accept it, do not put your faith in an unvirtuous sacrifice; since the Lord is a judge who is no respecter of personages. 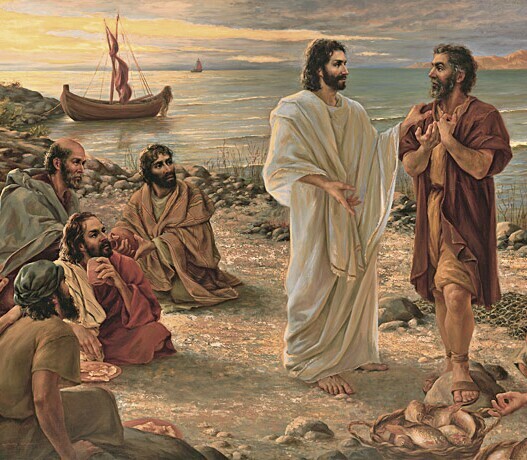 ‘What about us?’ Peter asked Jesus. ‘We have left everything and followed you.’ Jesus said, ‘I tell you solemnly, there is no one who has left house, brothers, sisters, father, children or land for my sake and for the sake of the gospel who will not be repaid a hundred times over, houses, brothers, sisters, mothers, children and land– not without persecutions– now in this present time and, in the world to come, eternal life.